I won’t go into it too much but I thought it might be interesting to touch upon, especially in relation to my work. I find it interesting anyway and it’s helpful/useful to know. When I went to Selby college, in September 2000, to study a Graphic Design BTEC, I was given a list of things that I needed to get in preparation for the course. 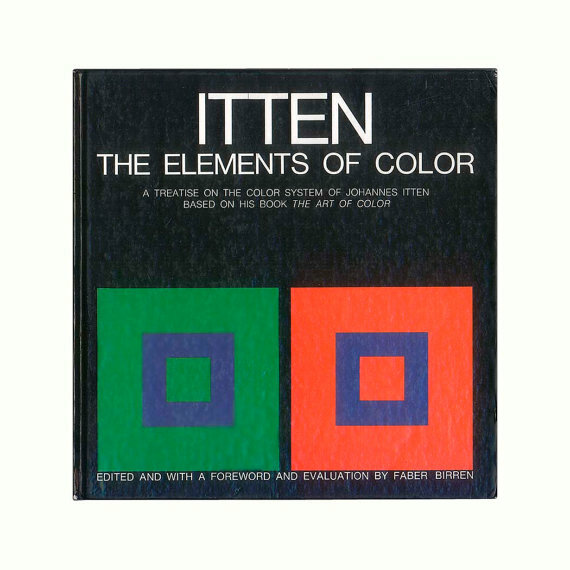 Along with all the drawing and painting materials the main thing was the book “ITTEN: THE ELEMENTS OF COLOR” by Faber Birren (see book cover above). It basically became the foundation for all the work I did on the course and subsequently. 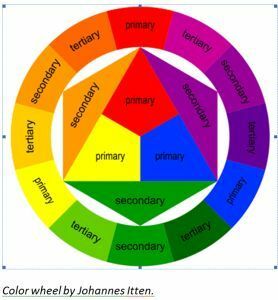 Johannes Itten was considered to be one of the greatest teachers of the art of colour in the modern times. Born in 1888 near Thun, Switzerland, he devoted over 5 decades of his life to the instruction of the visual, psychological and esthetic mysteries of colour. I don’t think there is an art student who hasn’t had to create their own version of this, mixing the paints correctly in order to get just the right shade in the right place. Or the 12 steps of grey and colour hues grid either. It can seem tedious but it is worth having a go at and practising as it is a useful skill to have. I’ll leave it at that for now, but I may come back to it at some point.